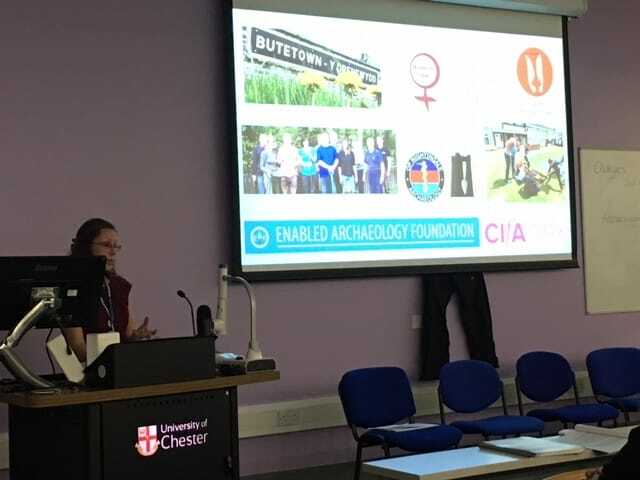 Recently, I hosted a session entitled Archaeology for Change at the annual Theoretical Archaeology Conference (TAG) which was this time hosted at the Roman town of Chester (where I excavated the amphitheatre many years ago!). Can archaeology be used to bring different community members together in a positive, impacting, lasting way? Can archaeology be instrumental in changing our society today? How can archaeology positively impact those who live in it – especially those on the margins of society? Fundamentally, how can archaeology be used to encourage positive contemporary change? 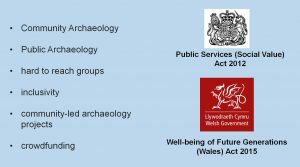 Where did the idea for this session come from?When I graduated from university about sixteen years ago, the idea of public and community archaeology didn’t appear to be a topic its own right. Throughout my 20s I lived and worked in an archaeological bubble, where archaeology was for ‘us’ and somehow set us apart from the perceived drudgery of the rest of the world. What never sat right with me was this exclusivity of us as a profession and as people and that we didn’t actually contribute anything positive to society. Thankfully, developments in archaeology are beginning to and are succeeding in realising our social responsibility, our infinite potential of enacting change in our society and the contemporary social relevance and application of archaeological theories and concepts. 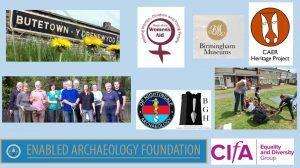 Community Archaeology, Public Archaeology, excavation open days, targeting hard to reach groups, the dissemination of research to the public in a non-jargon way, inclusivity, volunteer and community-led archaeology projects and crowdfunding are all words which now appear commonplace within our discipline. There was a wide range of speakers and topics. Kevin Wooldridge discusses the need for change within our discipline to fostering a more diverse and inclusive discipline highlighting the RESPECT Women in Archaeology and Heritage campaign https://www.archaeologists.net/news/bajr-guide-%E2%80%93-respect-acting-against-harassment-archaeology-1511370487 in particular. Theresa O’Mahony reminded us of the need to ensuring positive inclusiveness with the work of the Enabled Archaeology Foundation https://enabledarchaeologyfoundation.org/ . 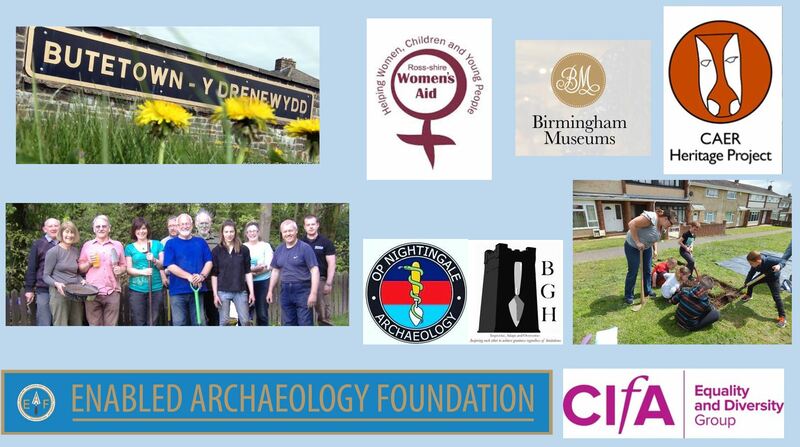 Professor Carenza Lewis presented projects through which archaeology had been used and will continue to be used in tackling social disadvantage whilst advancing archaeology knowledge http://archaeologyeurope.blogs.lincoln.ac.uk/ and Dr Oliver Davies and Dr David Wyatt discussed insights from their ongoing community archaeology project the CAER Heritage Project in Cardiff https://caerheritageproject.com/ . Rebecca Fletcher from Birmingham Museums Trust gave us an insight on strategies to expand our inclusiveness in terms of recruitment and attracting volunteers https://www.youtube.com/watch?v=g_zlGv0WFbA and Dr. Konstantina Kalogirou and Konstantinos Trimmis presented their project of VIA Culture which aims to record and mobilize cultural heritage assets as tools for teaching English as an additional language and for providing social inclusion to refugees, asylum seekers and newly arrived migrant students. There is much from this session which I can incorporate into my role as Heritage Officer; the forging of partnerships for future work, areas where inclusivity can be further facilitated and where we can facilitate positive societal change through the Regency Restoration Project and the Garden as a whole.